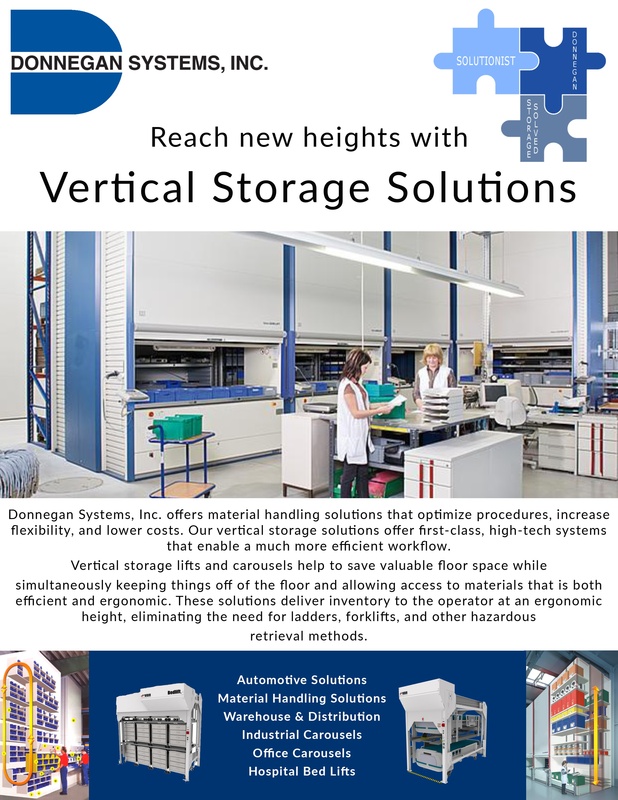 Vertical Storage Solutions | Donnegan Systems Inc.
Vertical Solutions for Maximum Capacity. Our vertical storage solutions offer first-class, high-tech systems for storage organization that saves time, storage space, and money- enabling a much more efficient workflow. Companies throughout the world use the Hänel Lean-Lift® to increase the cost-effectiveness of their warehousing and materials handling. 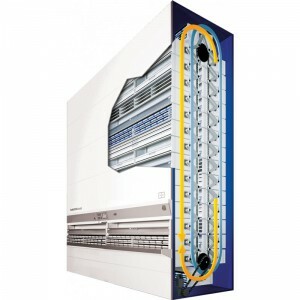 Hänel offers customized special features to get even more efficiency out of your solution and space. 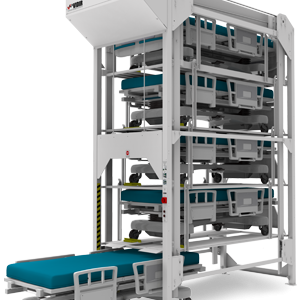 The Hänel Rotomat® industrial carousel offers a flexible storage and provisioning system that adapts optimally to your needs. This industrial carousel makes use of the available room height and creates up to 60% more storage capacity thanks to its compact design. 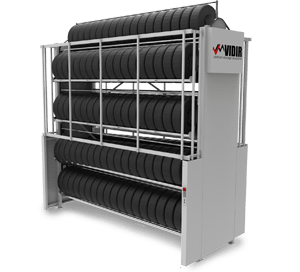 Vidir’s Tire Carousel is the ultimate tire storage solution for organizing, storing, displaying and accessing tires efficiently and ergonomically. The Tire Carousel is a semi-automated Vertical Carousel delivers tires to the operator at an ergonomic height, eliminating the need for ladders, forklifts, and other hazardous retrieval methods. 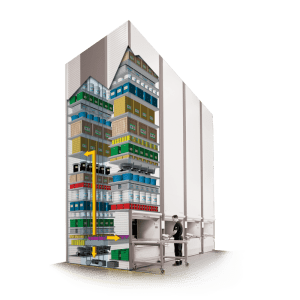 Vertical Storage Systems are designed increase your inventory control, reduce labor requirements, and improve your organization and process.